Our friend and colleague Declan Naughton was dealt a catastrophic blow on the 15 June 2018. Whilst participating in a charity cycle for Alzheimer’s Society of Ireland with his colleagues at KBC Bank, Declan was involved in a serious accident which has left him paralysed. Declan is first and foremost a father to two beautiful boys Cillian (12) and Callum (7) and devoted husband to Louise. He’s a brother, son, uncle, loyal friend and contributor to the community. Declan is always the first to volunteer to help others and the first to get involved in any fundraising event for charity. Declan has been an active member of his community for many years, Celbridge GAA as a football coach/mentor and fundraiser, Palmerstown Golf Club enthusiast and Peak Performance fitness team member to name a few – he has always been on hand to motivate, encourage and share a moment and good memory. This Go fund me campaign is about that, it’s about reaching out to help someone who has always been the first to help everyone else. So it’s time for all of us to pay back that goodness and support to Declan and his family when they need us most. 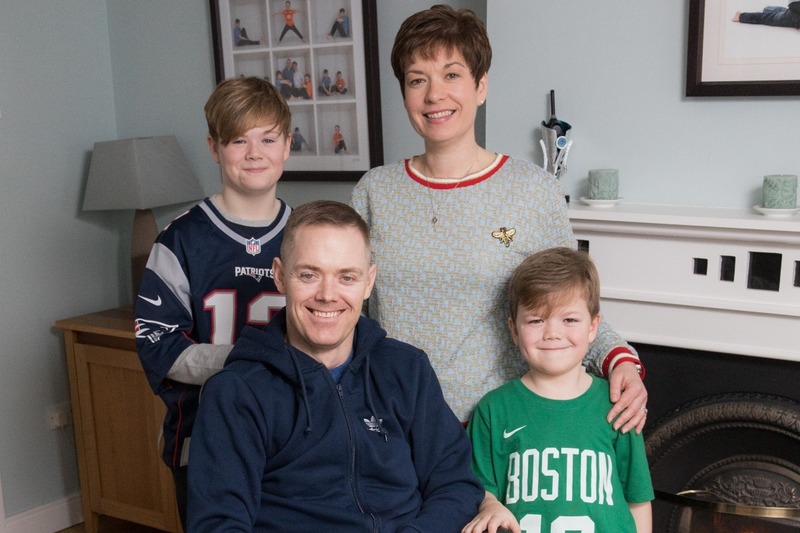 Declan has now moved from the National Spinal Unit in the Mater Hospital to the National Rehabilitation Hospital in Dun Laoghaire where he is learning to adapt to his new reality as a wheelchair user, facing into a new and a very different way of life. As someone who has helped so many others we now want to help Declan to move back home and resume his life in the community and workplace. We believe in the power of many to do good for others. We are asking for friends, family & our community to support us in our fundraising drive for Declan. All support big or small will help - but the more of us that do something, the greater the things we will achieve.